Richard Anderson, the man who played Oscar Goldman in The Six Million Dollar Man TV series tried for years to get a Bionic Man movie off the ground. Many different writers took a stab at a script. In the mid-90s, Kevin Smith famously wrote a script for a Bionic Man movie that was a reboot of the TV series. I was very excited about this prospect as, at the time, I was a big fan of Kevin Smith and loved the idea of him re-imagining the Steve Austin universe (of which I was a big fan). Unfortunately, nothing ever happened on that project. It just disappeared. Then, in March 2011, Kevin Smith announced that his unproduced script would be re-adapted into a comic book series for Dynamite comics. The comic’s script would be written by Phil Hester and be based on Smith’s movie script. 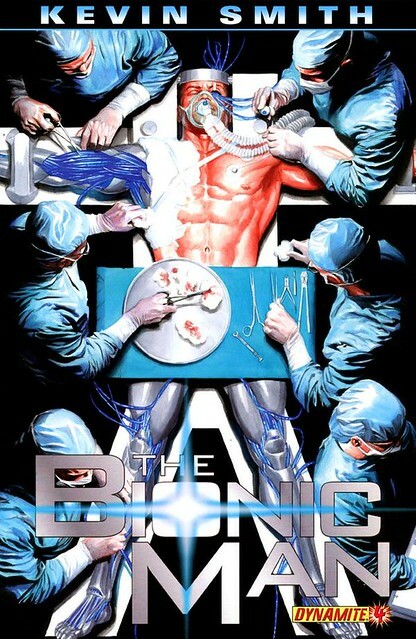 The book’s interiors would be drawn by Jonathan Lau, it would have Alex Ross variant covers and the name would be Kevin Smith’s The Bionic Man. The first issue would be released in August 2011. 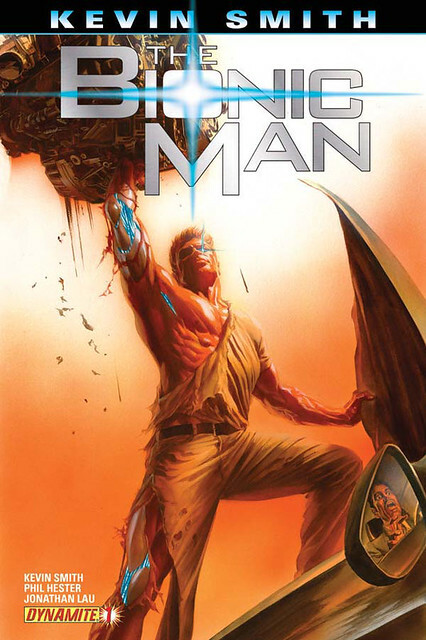 Up to this point I have read the first 14 issues of Dynamite’s The Bionic Man. The first 10 issues contain the story arc that is taken directly from Kevin Smith’s unproduced script. Essential Plot: It starts off very similar to the original TV show/novel. The events have been updated a bit and a few things changed. We actually start off, not with Steve Austin, but with a break in at a government laboratory. An unknown assailant kills all the scientists and steals what looks like a bionic arm. Then we cut to Steve Austin at home. He’s still a test pilot. He’s engaged to Jaime Sommers. Austin is about to retire as a test pilot and marry Jaime. He just has one more test flight to make. And what happens is exactly what you expect. Something goes wrong with the flight, Austin crashes and loses both of his legs, his right arm and his left eye. In this story he’s good friends with a younger version of Oscar Goldman. They convince Steve to become a part of their bionics experiment, so the government pronounces him dead and begin the operations to graft on the bionic limbs. There are several issues devoted to Steve’s recovery and coming to grips with the fact that he’s now part machine. In issue #7 Jaime returns as Steve unexpectedly finds himself at her house and reveals to her that he’s not, in fact, dead. In this issue we also discover that the earlier mysterious assailant from issue #1 has ties to Austin and the bionic program, so the rest of the story arc is discovering information about this assailant and Steve going after him to put a stop to his plans. The next issue after the Smith arc, #11, was a standalone issue. Steve goes back to his parents’ ranch for some soul searching. We meet his parents and see that his father is dying. Issue #12 begins the first new wholly original story arc. It’s written by Phil Hester and Aaron Gillespie and drawn by Ed Tadeo. 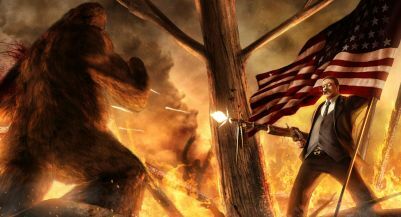 This story introduces the fan favorite bionic Bigfoot from the TV show into the new bionic universe. Austin discovers some unscrupulous people are attaching bionic parts to Bigfoot creatures so he teams up with one of them to help. Welcome to episode 78. In this episode we finally try to tie up all the loose ends of the Aaron-Pax rivalry and we also try to have a podcast. Aaron Nix of Movie Hodge Podge finally gets to live out his dream of sitting in the Nerd Lunch Fourth Chair and he is there to discuss real life people living out pop culture scenarios. We talk about what real life NFL star do we think would rise up and defend Earth against Ming the Merciless. We talk about what US President would climb into the cockpit of a fighter jet to fight in an alien invasion of Earth. And we discuss what current music group we think is actually a front for the criminal terrorist organization, Cobra. It’s a fun packed episode so join us for the discussion, won’t you? This week on the show CT abandons us so Jeeg and I invite The Retroist back for his second appearance and he brings along Vic Sage, one of the head writers on The Retroist blog, for his first appearance on the show. 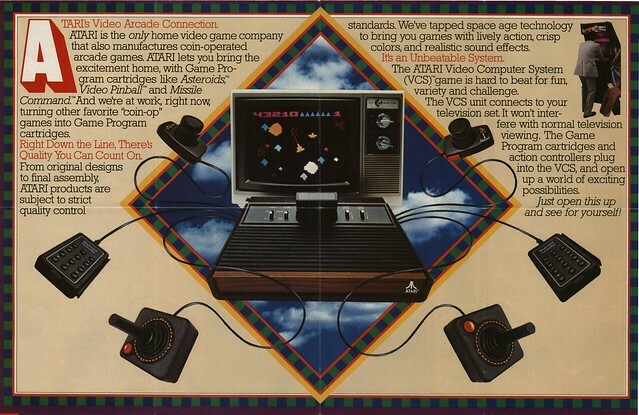 We bring in these retro experts to help us discuss one of the greatest gaming systems of all time, the Atari 2600 VCS. We each talk about our own history with the system, then we discuss a bunch of our favorite and least favorite games. Yes, we even discuss our own views on the extremely controversial E.T. game. Also discussed in this episode are the Activision Master Gamer Badges, the Atari port of Pac-Man as well as the bootleg Atari Texas Chainsaw Massacre and Halloween video games. So, for episode 76 of Nerd Lunch we return to what the TAG Network calls a “3 Way Dance”. It’s just Carlin, Jeeg and I and we start talking about sports. You heard me right, SPORTS. 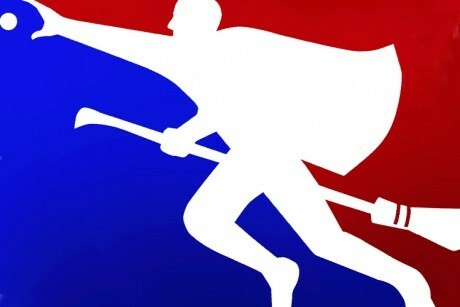 We discuss our thoughts on watching sports, we talk about our own personal experiences playing sports and then we talk about some of our favorite sports movies. It’s a fun discussion in which we discuss a topic that seems the opposite of what this podcast is about. Martin Caidin wrote his fourth and final Steve Austin novel in 1975. It was called Cyborg IV. By this point, Caidin’s character had spun off into the famous Six Million Dollar Man TV show. However, Caidin continued his novels as if the TV show didn’t exist. The continuity within the novels did not overlap with the show. Despite this fact, this particular book was included as #6 in the Six Million Dollar Man book series. Which is confusing (is it Book #6 or Book #4?). 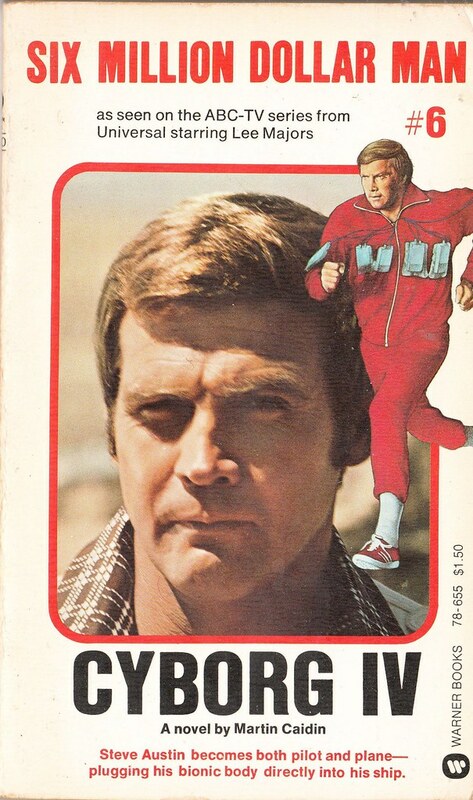 The Six Million Dollar Man book series were paperback translations of episodes of the TV show in which authors like Mike Jahn and Jay Barbree novelized episodes like Pilot Error, Rescue of Athena One and Solid Gold Kidnapping. 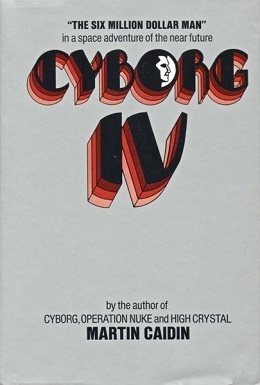 Caidin’s third Cyborg novel, High Crystal, was also confusingly included in this series. The first two Cyborg books were not included. For this last novel, Caidin takes the idea of “man working in tandem with machines” to a new level. Steve is introduced to a new project within the Army in which an advanced fighter jet/spaceship is directly connected to a human pilot so that ship and man are one and the same. This setup requires that the human pilot have interface ports surgically added to his body, but since Steve already has most of that done, Oscar thinks he’s the perfect test pilot for the project. The idea that Caidin introduces here is pretty cool. When directly connected to the ship, Steve would “feel” and “see” what happens to that ship as if it were a part of his body. Instead of having gauges and digital readouts tell him about the telemetry of the ship, it would be fed directly into his body and he’d know it just as he knows that it’s cold outside or that he’s hungry. It’s a pretty crazy idea and for some reason it immediately made me think of the Clint Eastwood movie Firefox . And the first time they test Steve and the plane, they have to dial back the connection to 30%, otherwise, Austin may lose all of his individual identity and become “one” with the ship. The way it’s written in the book is actually pretty cool. The problem? Caidin is his own worst enemy. We spend the first 1/3-2/3 of the book learning about the project and then training Steve on the equipment. The final action of the book is really just the very first outer space flight test for the plane/cyborg hybrid. There is a small conflict with the Russians in that they are destroying US spy satellites, but other than that, the book is just training and a few test flights of the new ship. And the book essentially just ends not giving you any indication about the future of the project or where Steve will go next. So, again, I’m a little frustrated reading these Caidin Cyborg books because the author has really good ideas but the written execution of the novel is seriously lacking. And considering the books are short, (< 200pgs) Caidin still manages to drone on WAY too long about the most mundane things. So while I’d recommend this more than Operation Nuke it’s not as good as High Crystal or the original Cybog novel.